Clever Bulletin: Miley Cyrus May Play Bonnie in 'Bonnie and Clyde' Mini-Series! 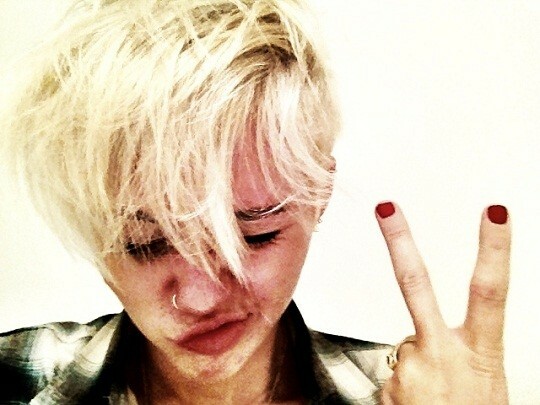 Miley Cyrus May Play Bonnie in 'Bonnie and Clyde' Mini-Series! The Hollywood Reporter is reporting that Miley Cyrus is in discussions to play the infamous crook Bonnie in a Bonnie & Clyde mini-series on the Lifetime AND History networks. Apparently she has met up with the show's directors but hasn't commented on or confirmed the project yet. It hasn't been revealed who would play Bonnie's other half, Clyde. Although we have our pick...Liam Hemsworth, of course! Seriously, how awesome would that be? The real life Bonnie and Clyde became sensations when they went on a bank robbery and murder spree in the 1930s with their crew. They were eventually cornered by Louisiana police and killed. Do you think Miley could portray bad-girl Bonnie? Let us know!